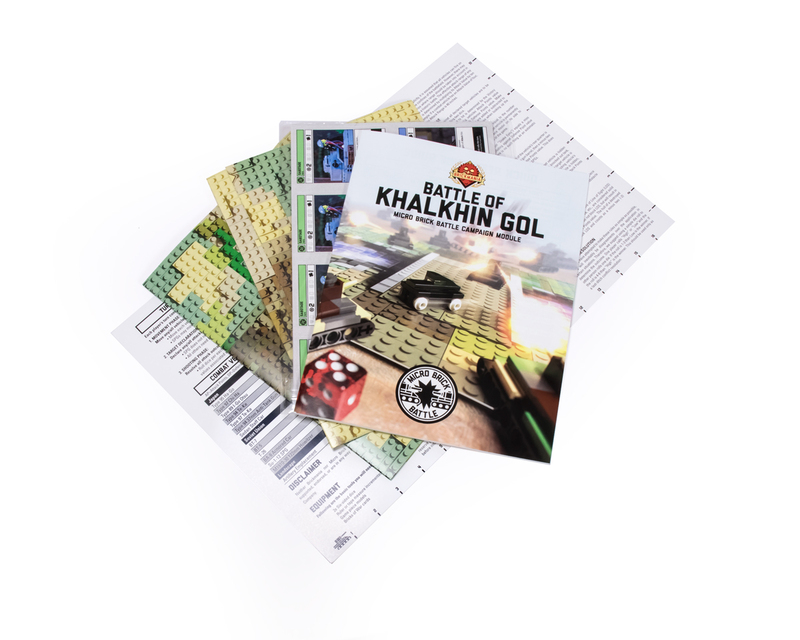 The Battle of Khalkhin Gol Campaign Module allows players to reenact this historic battle using the Micro Brick Battle game system. The module presents three scenarios that are played using a custom-designed play map that includes several prominent features of the battlefield. This module includes full-color step-by-step instructions for building each combat vehicle used in the scenarios with your own collection of LEGO parts, plus several effect cards to arm commanders with new tools to defeat the enemy.